Remember when you were a kid and you rode your bike everywhere? 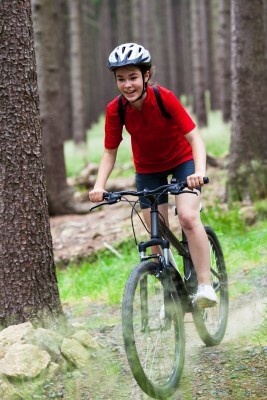 Remember that feeling of freedom to choose your trail and ride wherever you wanted? When did we lose that drive to be out in nature to explore the world on our bikes? I know for myself, I used to love the challenge of a steep hill and the reward of sailing down the other side. I loved being out in nature and listening to the wilderness at every pit stop. But life changes. It gets busy and we sometimes put our childhood passions aside. I still ride my bike with a chariot attached and two kids in tow, occasionally. It usually happens in the spur of the moment during the summer when we have a lazy day and think, "hey let's go for a bike ride." But I would love for it to happen more often. I may have found a group to give me the CycleTherapy I need! I recently met up with Kelli Taylor at a Brighter Business Empower Seminar. Shannon Bowen-Smed, President and CEO of Bowen Workforce Solutions, was the guest speaker. Shannon asked the audience to get up and out of their seats to do some networking and to introduce ourselves to someone we don't know. I'm glad I had the chance to talk to Kelli Taylor. She lead me to discover this amazing organization CycleTherapy! CycleTherapy is a non-profit organization based out of Calgary, AB. It consists of a group of cyclists ranging from beginners to pros who ride to raise money for various charities of their choosing. But that's not all, it's also about passion. Watch this video, it'll give you a sense who CycleTherapy is, created by Alexa Gilker. CycleTherapy began in 2009, when a few friends trained for and participated in the Ride to Conquer Cancer relay. Not only was it an opportunity to work on physical fitness, but it was also an opportunity to raise money for an important cause. After that first event, it was life changing for those in the club. They cycle because they love it, but they also get to give back to our community! They ride for purpose and are always mindful of their goals. 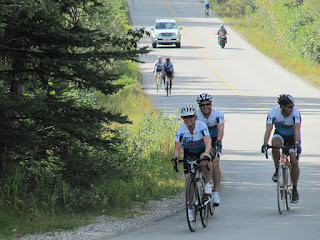 They've raised money and rode for organizations such as KidSport, ARBI (the Association for the Rehabilitation of the Brain Injured), the Ride to Conquer Cancer and the MS Society. What a GREAT idea with AMAZING people who have found their passion and are able to give back! You can follow the CycleTherapy Blog here! CycleTherapy: "We ride for pleasure; We ride for purpose"